What makes this revision groundbreaking? 237 step-by-step procedures, the most on the market! More streamlined and focused on essential skills and concepts. Soft skills like professionalism and cultural sensitivity are interwoven throughout to deliberately remind students how to be responsible, successful medical assistants. Detailed mapping documents demonstrate where accreditation standards and learning objectives are met across the learning system. 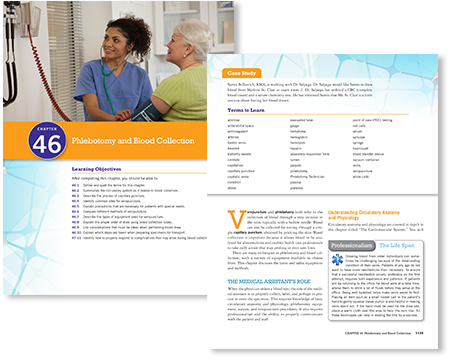 Learning Objectives meet all CAAHEP Cognitive (Knowledge) Standards, including concepts such as the patient navigator, patient coaching, new d legal terminology, and patient-centered medical homes. Case Studies link chapter information to future careers. Terms to Learn present key words and concepts. 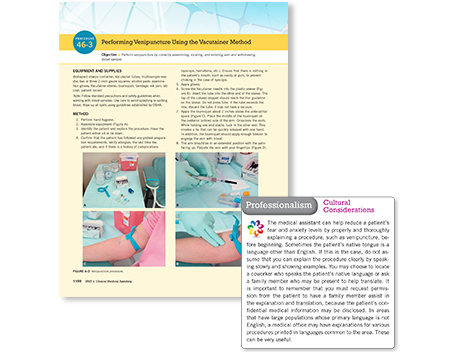 227 Procedures—including 32 new Procedures— develop medical assisting skills and include an Objective, Equipment and Supplies list, Method, Charting Example, Photos and Drawings, and Notes. The Procedures meet the CAAHEP Psychomotor (Skills) Standards. Professionalism features help students connect professional demeanor with success on the job. Diagrams, tables, and pictures make concepts more accessible. 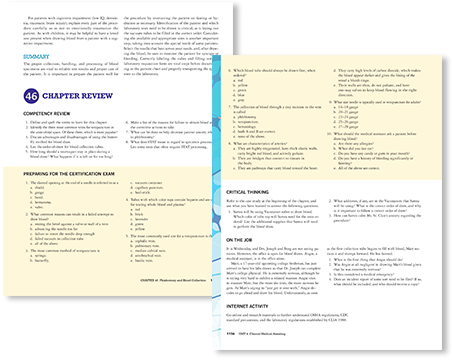 Chapter Summary highlights key skills and concepts. Competency Review tests student retention. Preparing for the Certification Exam is a self-assessment and practice tool to help students build exam confidence. Critical Thinking questions refer back to the case study at the beginning of the chapter. On the Job helps students link concepts to job functions. Internet Activity creates strong online researchers. 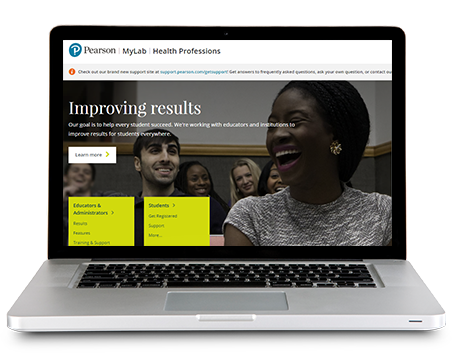 Practice professionalism and prepare for certification exams with MyLab Health Professions. Decision Making (video-based) Cases focused on effective decision-making. 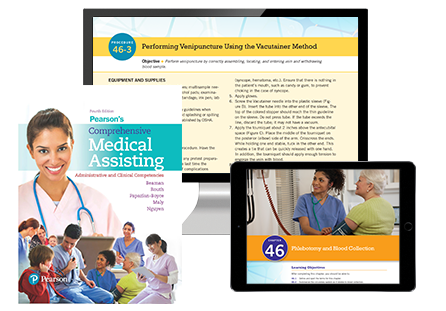 Practice soft skills with 100+ in-depth, real-life, case-based Professionalism Scenarios. Mobile-friendly, Dynamic Study Modules provide personalized, adaptive learning for each student.